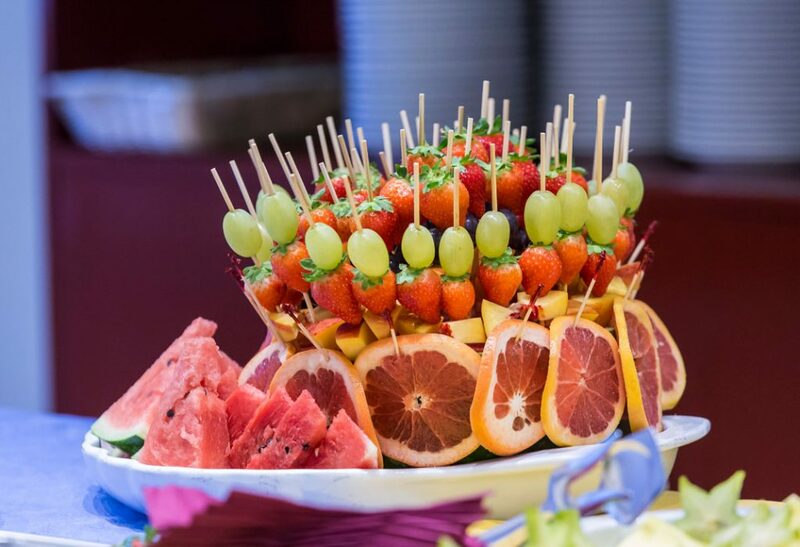 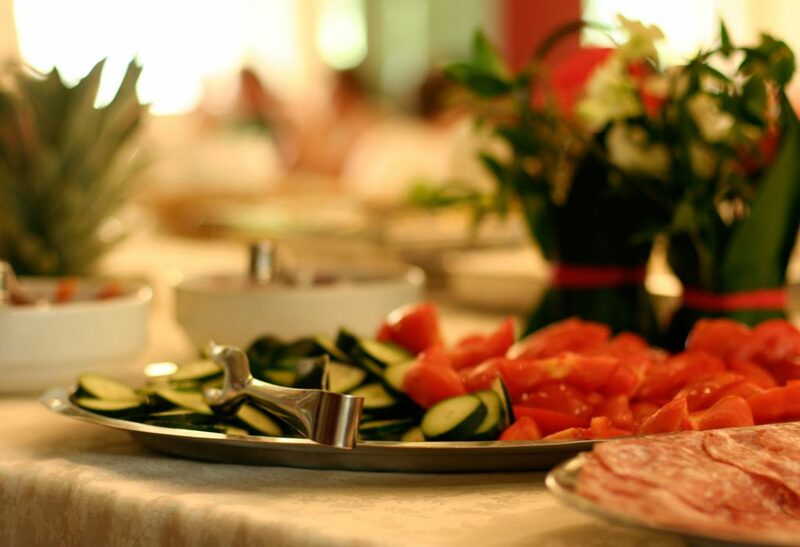 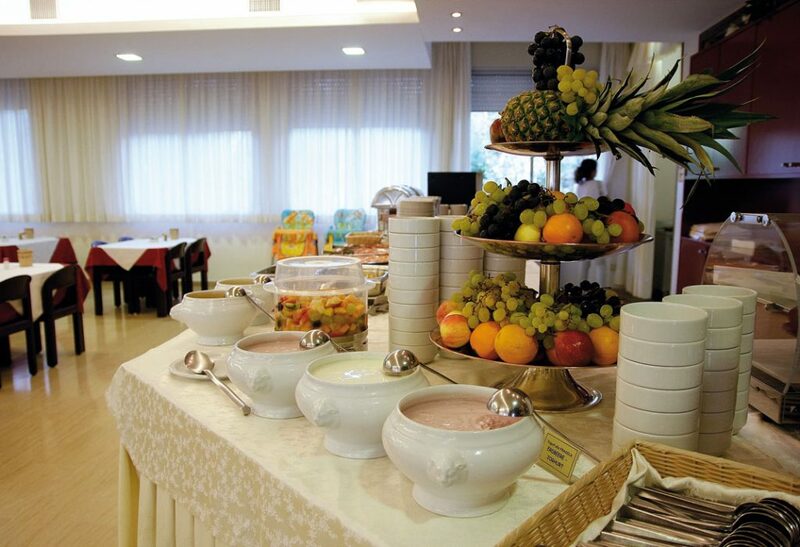 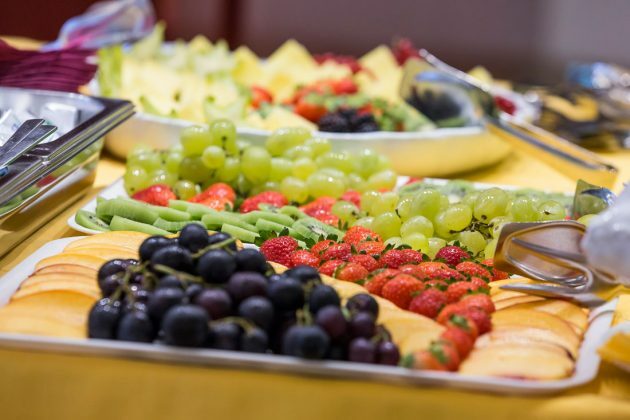 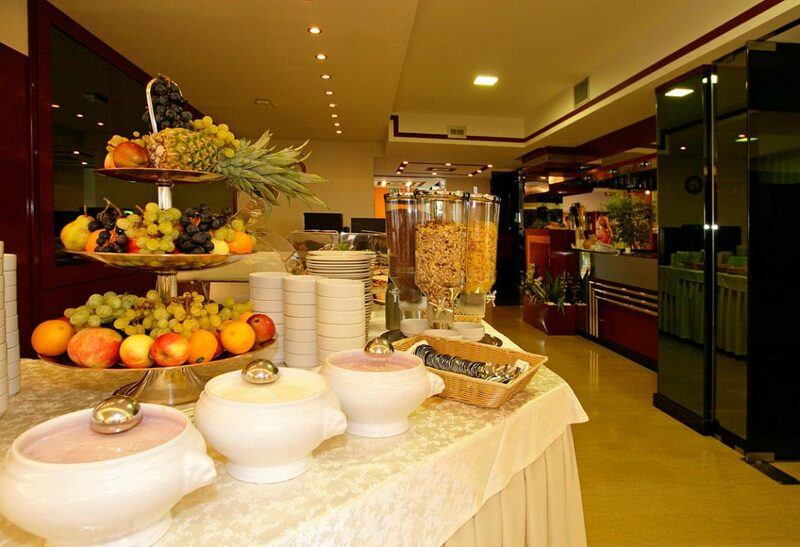 Besides a rich breakfast buffet that is served every day in the breakfast room of the hotel, Hotel Europa offers to its guests also the half board service, that can be enjoyed in the near Restaurant Panfilo. 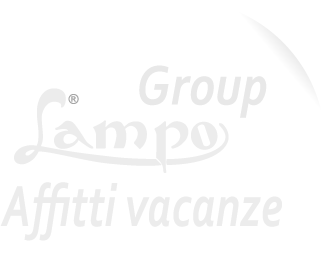 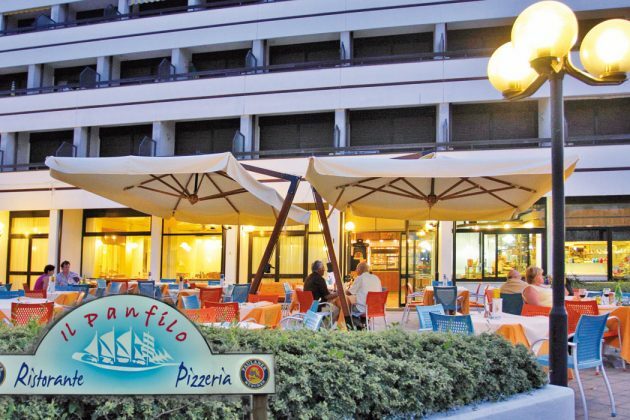 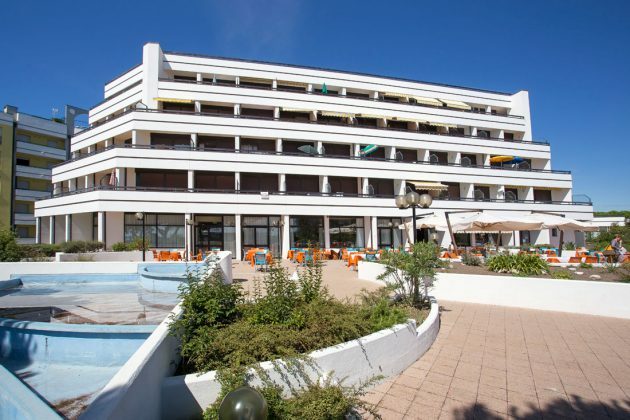 Due to its position on the beachfront and just 300 mt far from the hotel, Restaurant Pizzeria Panfilo can be easily joined on foot by hotel’s guests, also following the promenade along the beach. 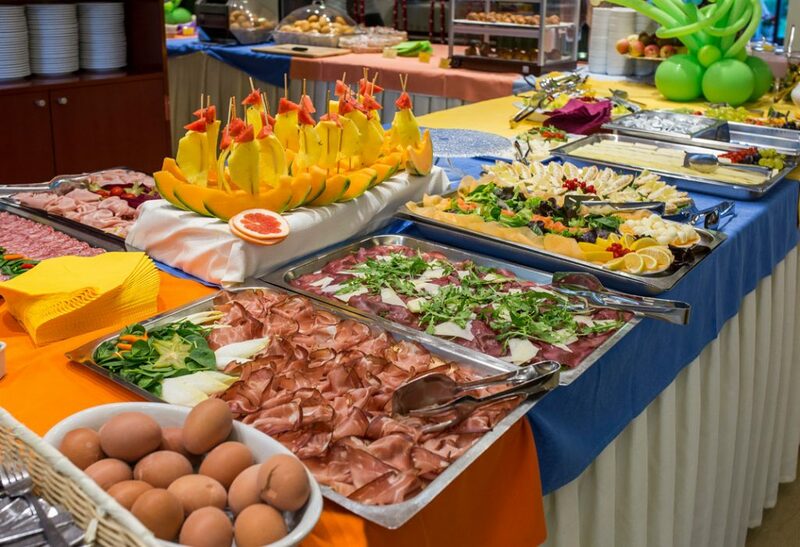 In the restaurant in a reserved area from 7 pm to 8 pm our guests can taste delicious dinners choosing among the dishes of the buffet, that usually includes two/three first courses, second courses, side dishes and desserts (drinks are not included in the half board service). 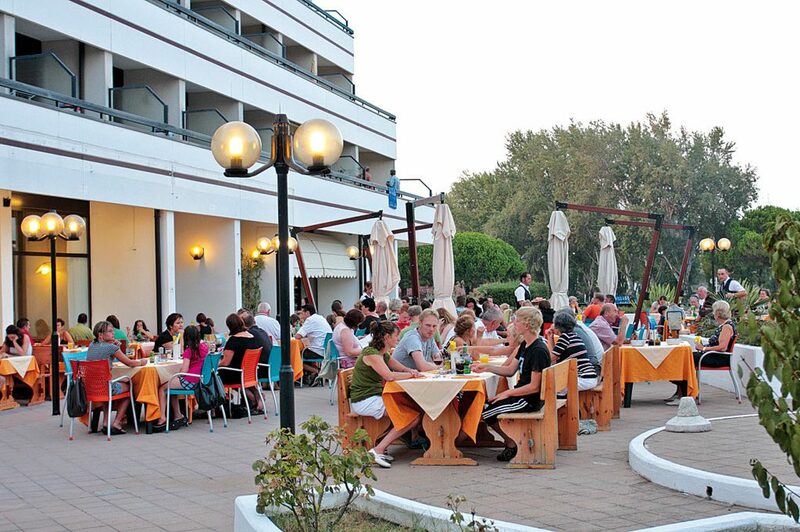 Every day at lunch and dinner the restaurant is also open to the public with a wide variety of meat and fish based dishes and savory pizzas. 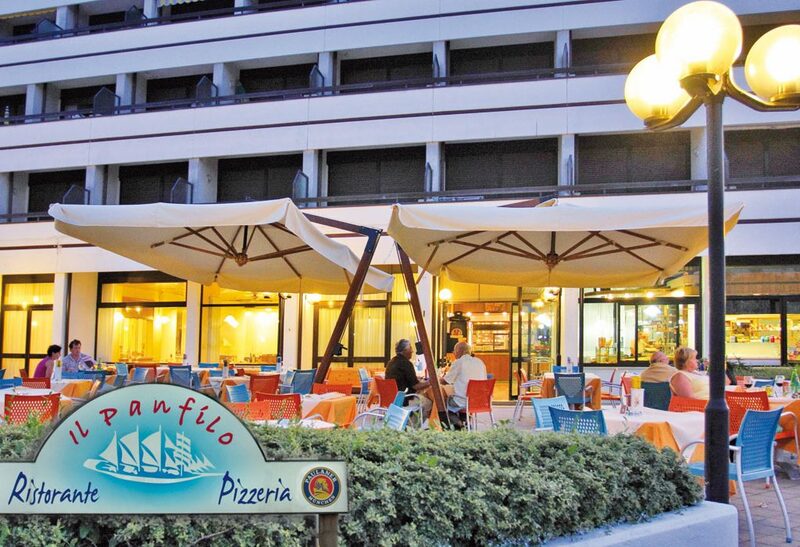 For those that want to taste some local specialties, at lunch time Restaurant Panfilo is the perfect spot thanks to its position on Ponente beach seafront: the Venetian cuisine, the pizzas or the main and second courses will win over the most discerning guests. 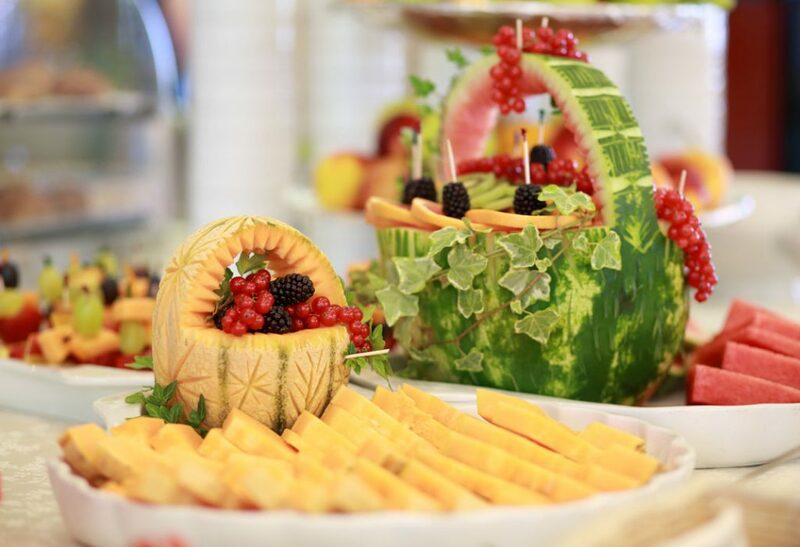 For those that prefer a fast snack there are also many sandwiches, fruit salads and ice cream cups. 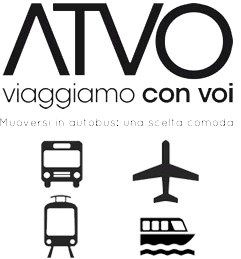 And also at night, will be possible to seat at one of the tables on the external terrace and choose among the menu à la carte proposals while the night will be enchanted by the notes of singers and musicians that one or two times per week exhibit entertaining the tourists. 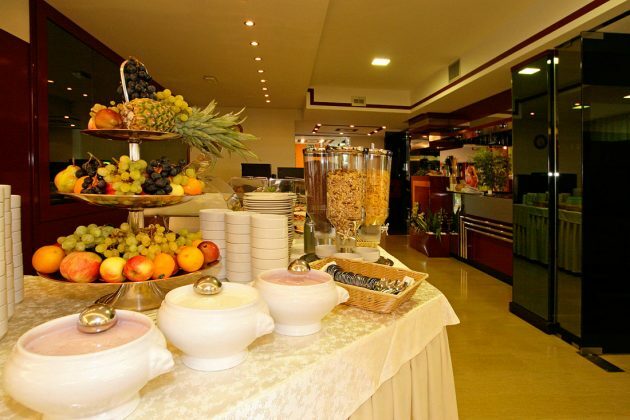 For the hotel guests it is available a 10% discount on the total price of your bill when you order from à la carte menu.